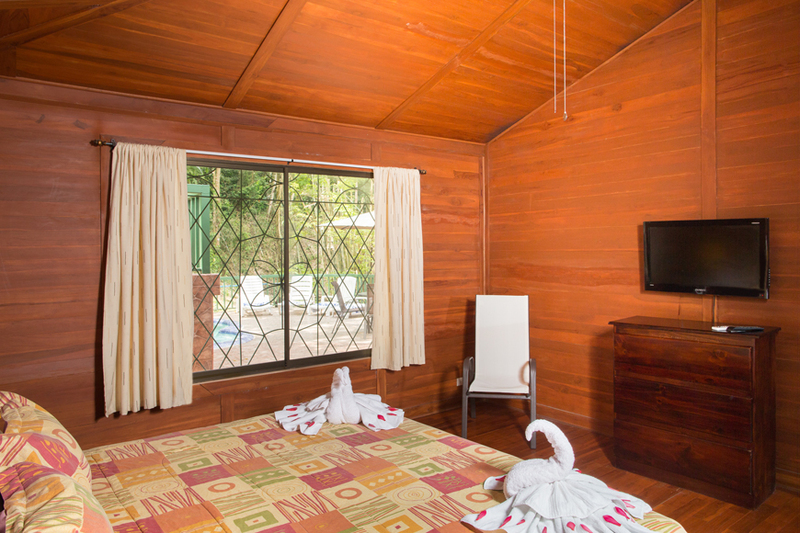 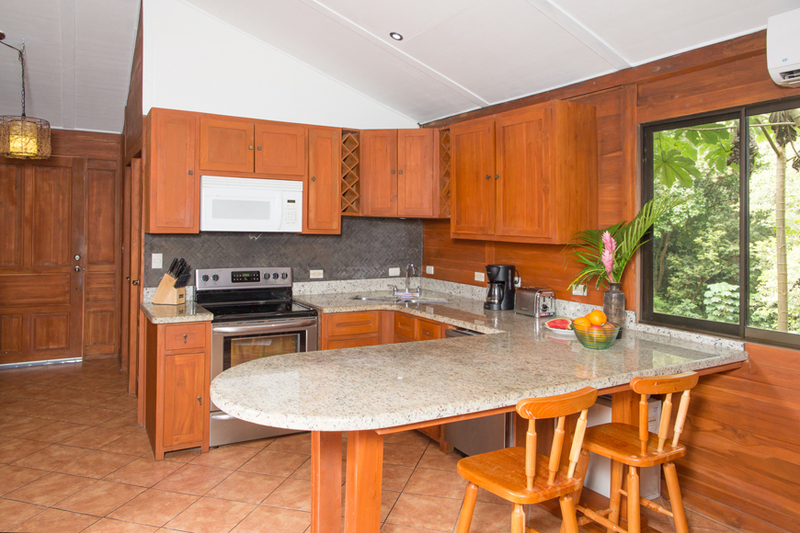 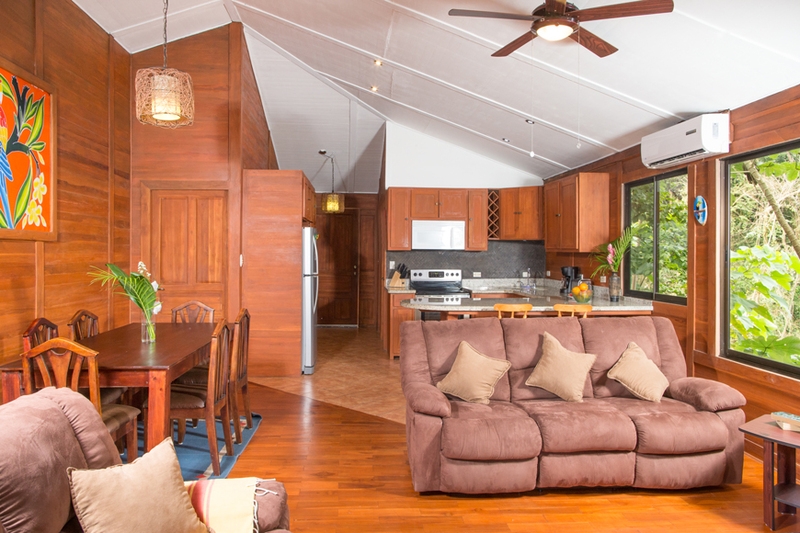 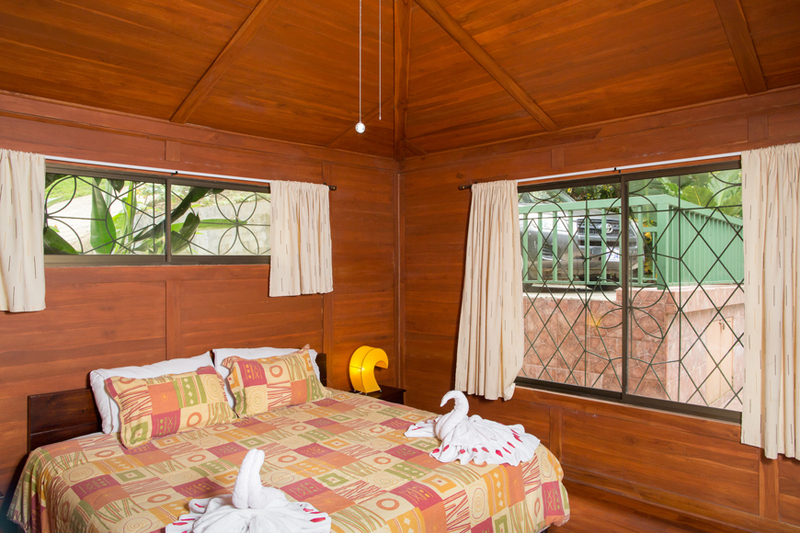 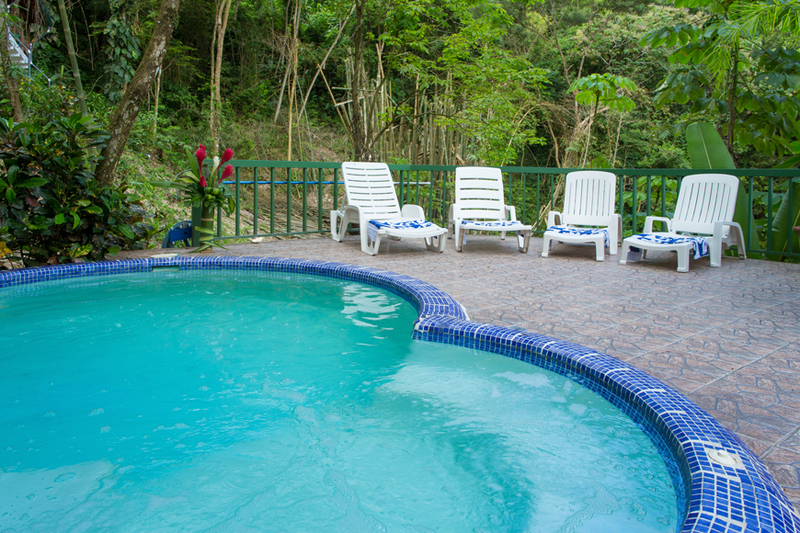 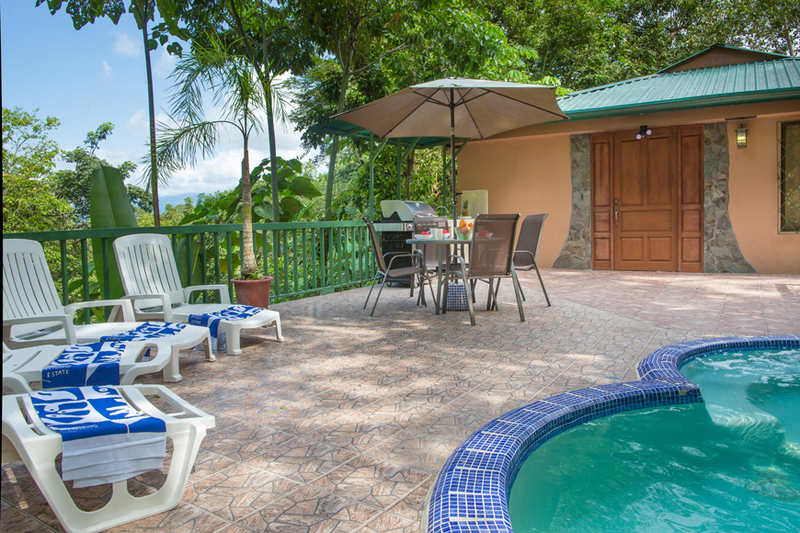 The Macaw Villa has 2 bedrooms, 2.5 bath and a private outdoor pool with deck. 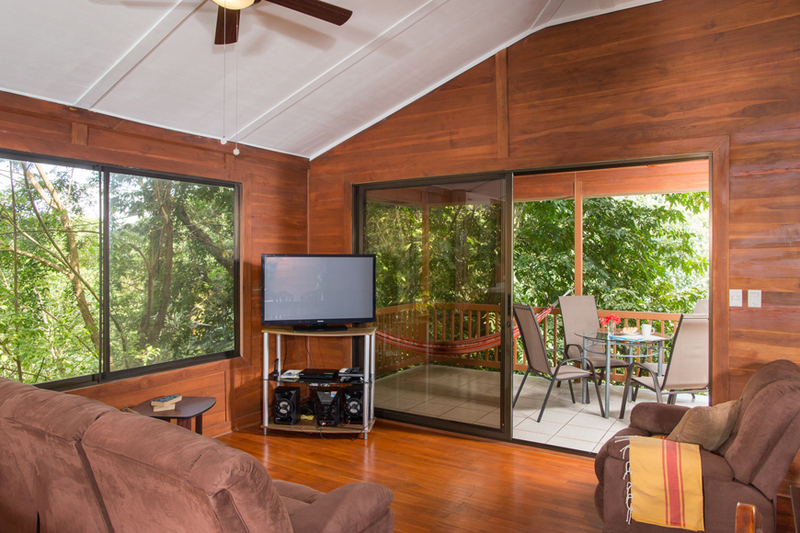 The main living area opens up onto a large covered veranda that is great for an evening dinner or glass of wine. 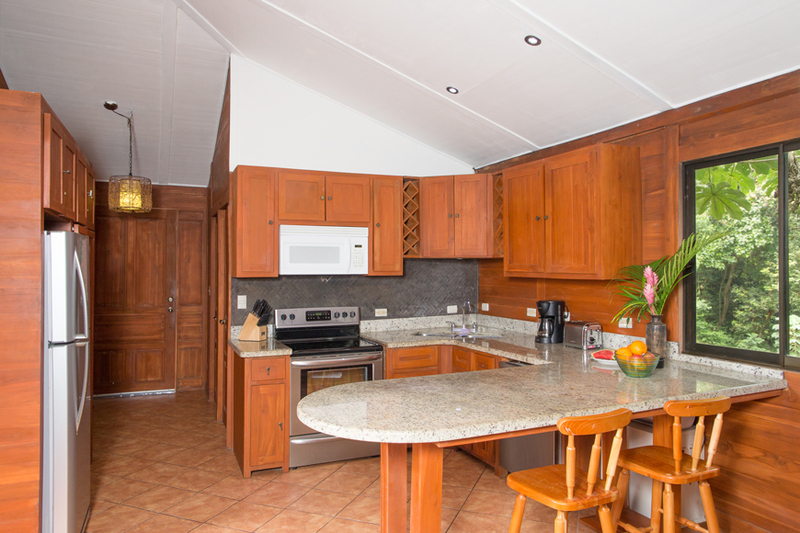 It has a spacious fully furnished kitchen a large living and dining area with AC. 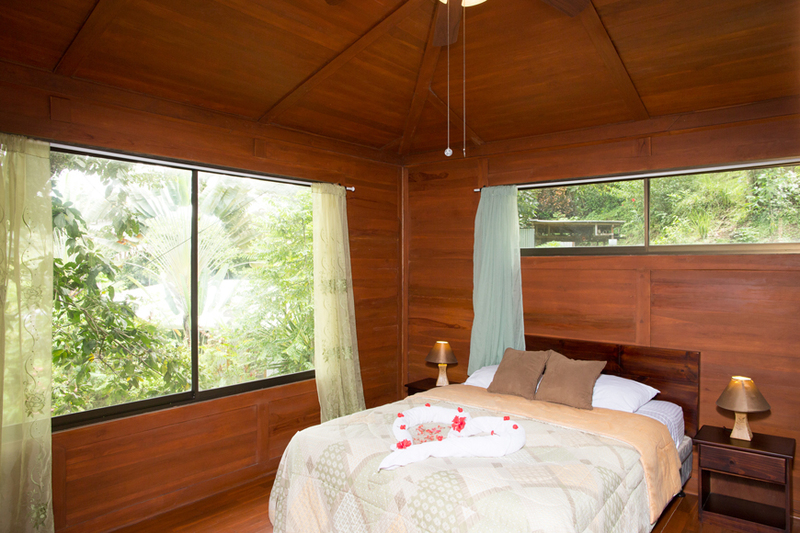 Teak wood walls and floors make this home one of the most unique homes in the area. 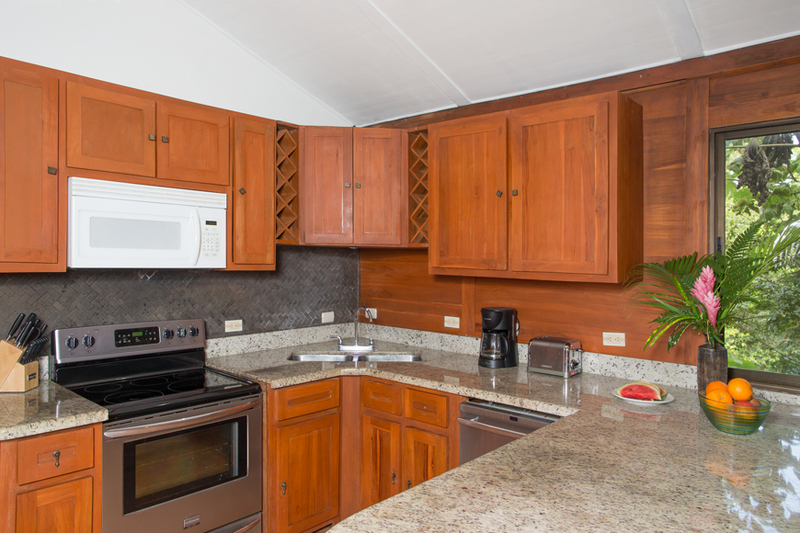 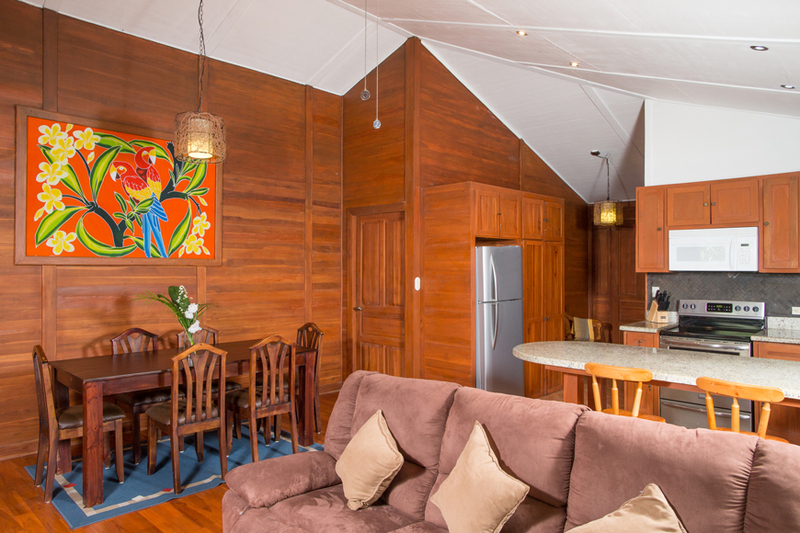 The baths have large custom showers and the air conditioned bedrooms are very spacious. 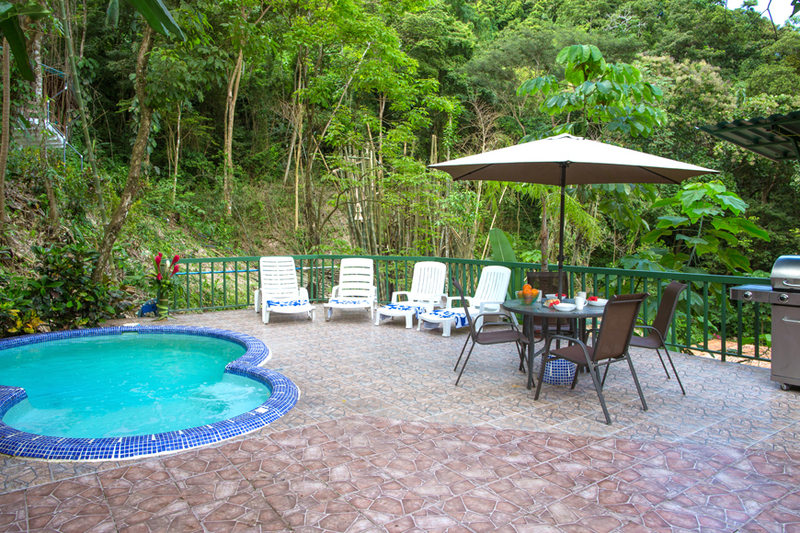 Spectacular mountain views as well as the surrounding rainforest. 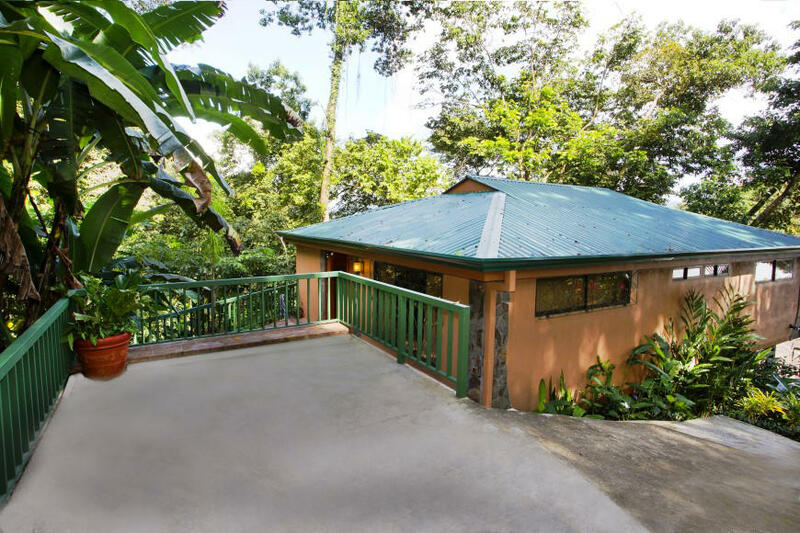 The large windows in this home make it ideal to observe all the wildlife in the rainforest including the daily visits from the troops of squirrel and white faced monkeys that inhabit this wonderful community. 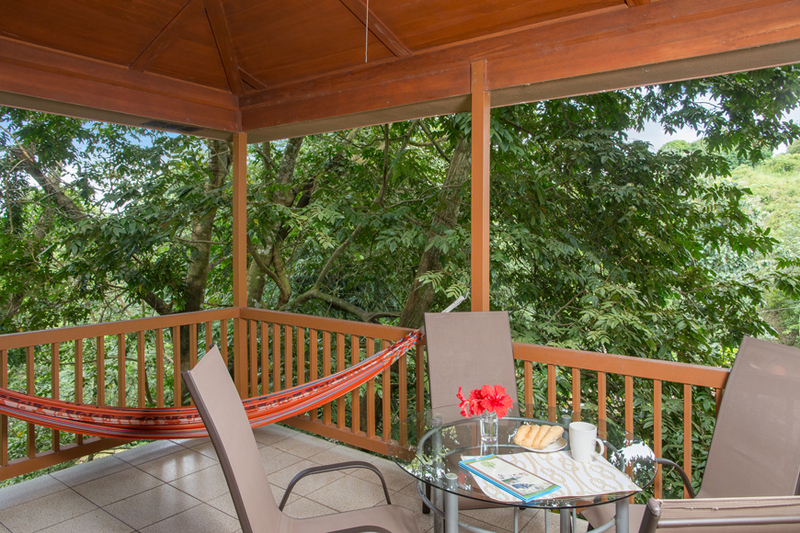 Manuel Antonio Estates offers safety in our private gated community, hiking trails to waterfalls and spectacular viewpoints, an onsite world-class Spa with massage, facials, body wraps, Yoga, and Pilates classes. 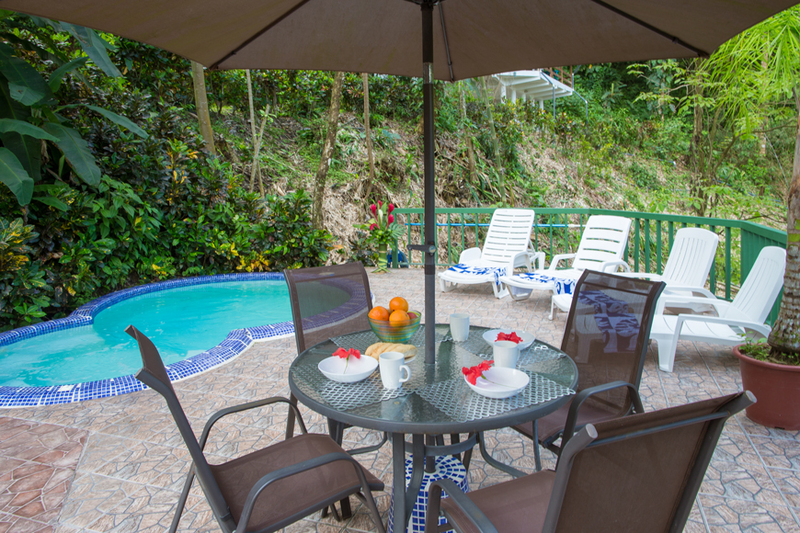 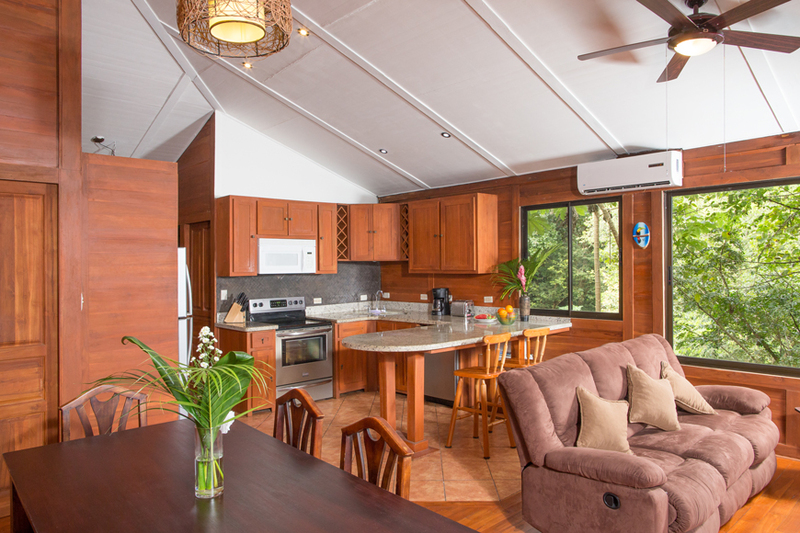 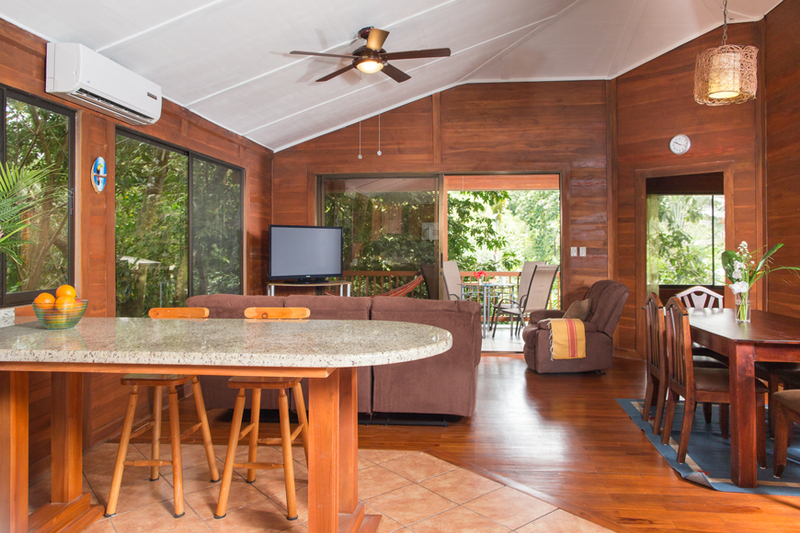 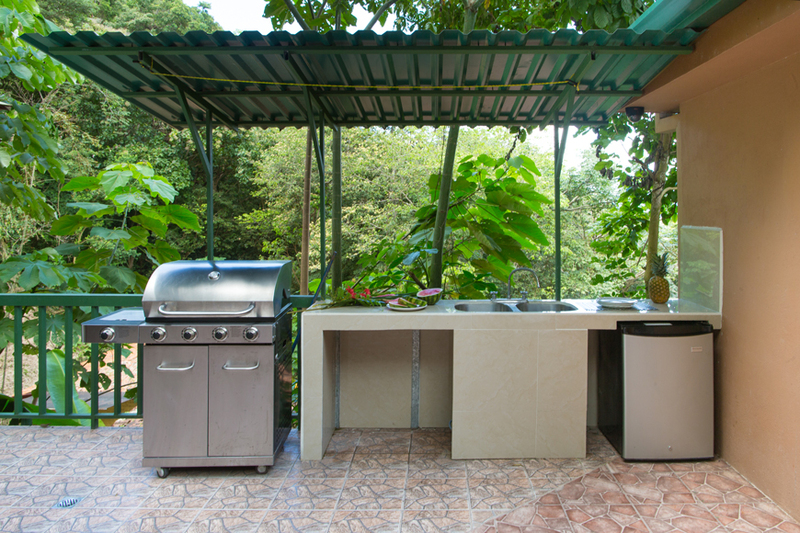 Located just minutes from the town of Quepos and a short drive to the Manuel Antonio National Park, Manuel Antonio Estates is the most convenient location for your fun in the sun and new home! 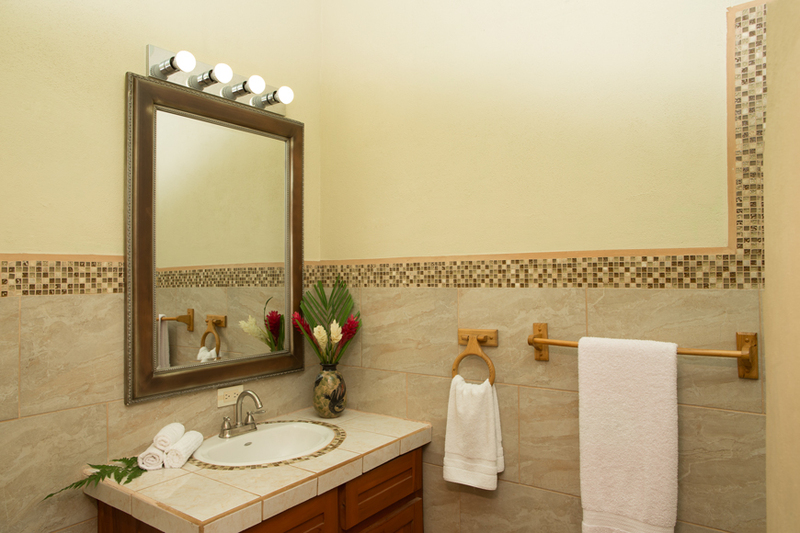 To make an appointment call Richard 8815 9606.